Play San Antonio Spurs -5. 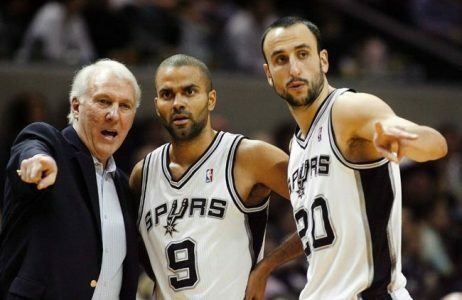 If you have followed the Spurs closely over the years, you know that you can never count this team out. It’s only a matter of time before San Antonio flips on the switch and goes on a huge run. With Tony Parker back healthy and expected to play regular minutes tonight, I think this is a great spot to back the Spurs as a mere 5-point home favorite against the surging Suns. San Antonio has won 9 of the last 10 meetings in this series on their home floor and are catching the up-tempo Suns in a good spot. Phoenix had to use a lot of energy in Wednesday’s 113-111 win at Minnesota and will be playing in their 3rd game in 4 days, while San Antonio comes in off a full two days rest and will be playing just their 2nd game in 6 days. Spurs are 12-4 ATS in their last 16 home games vs a team with a winning road record. BET SAN ANTONIO -5! 4x Top 20 NBA Handicapper L6 Years! Steve Janus is a proven expert on the pro hardwood. Steve is 170-138 (55%) Over L308 NBA ATS Top Plays and is on a Massive 474-402 Run Over L876 5* Top Plays, which has his single-unit $1,000 Players up $30,530! Don’t miss out on a golden opportunity to build your bankroll Friday with Steve’s 5* NBA Blockbuster Blue Chip Top Play! This can’t miss premium play is yours for the low price of $35.95 and best of all is GUARANTEED TO PROFIT!